If you’re in the market for a vehicle you’ll have some big decisions to make and quite a bit of work on your hands. New cars can depreciate in value quite fast, with the worst performers losing up to 70% 1 of their value on the first three years of ownership. If you would prefer to go the used car route you may never be quite sure whether it is going to work out great or turn out to be a lemon. You have a lot of options to weigh up however it doesn’t need to be a stressful and overwhelming process. We’re here to help you. We’ve compiled a list of seven important tips for you to keep in mind while you’re shopping for that perfect new or used car. Stick with us, and we’ll help you have the best chances of driving home in something that will make you happy for years to come. Once you’ve made the choice to shop for a car, the next decision you’ll face is where to buy it from. 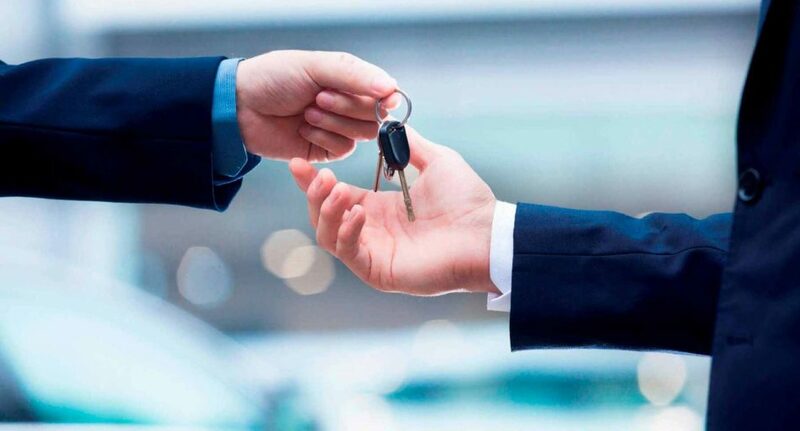 Car dealerships are often the safest bet, and very useful if buying a used vehicle because they are required by law to present the car as factually as possible. That means that you won’t have to worry as much about surprises down the road. All new vehicles will come with a warranty and at most dealerships even used vehicles will have a warranty of some kind. If anything covered under warranty goes wrong, you’ll be able to return to the dealership and have them take care of the issue for you. Additionally, dealerships generally offer financing options to allow you to pay for the car over time, and most will also be happy to take your old car as a trade-in to help offset the price. Private sellers, on the other hand, have a more intimate knowledge of the vehicle itself, and can explain the car’s specific driving history. Private sellers also have no ‘overhead,’ which means that they’re generally willing to sell the car for significantly less. Private sellers may also be more motivated to sell. Of course, most private sellers are selling the car as is, which means once the money changes hands and you drive away, you’re completely on your own should something go wrong. Auctions offer the potential for the lowest prices of all three options, but are also the biggest risk. In all likelihood, you won’t even get the opportunity to test drive an auction vehicle before you buy it. Assuming that you choose to buy from a dealership or a private seller, your next step is to research who you’re buying from. For dealerships, check online reviews to see how happy (or unhappy) buyers have been with the quality of the vehicles sold, and how willing they are to support their customers if something goes wrong. One or two negative reviews shouldn’t necessarily turn you off from a dealership in question, but if there are a lot of negative reviews, then you might want to keep looking. Private sellers don’t generally have online reviews, but that shouldn’t stop you from investigating them a little. This is because some who pose as private sellers are actually curbstoners—individuals who buy and sell large quantities of used cars, but who aren’t working for a licensed dealership. These individuals often present cars in dishonest ways, and may trick buyers into paying substantially more than a vehicle is worth. You can check up on private sellers by entering their phone-number into an internet search engine, and seeing if it is associated with any other used-car listings. Likewise, speak with the seller and ask about the car’s personal history. Ask to see their identification, and compare it to the car’s title to see if the name’s match. If the seller claims to be selling the car for a friend or relative, then there’s a good chance that you’re dealing with a curbstoner. Once you’re happy with the seller/dealership , the next step is to check out the car itself. For a new vehicle this will deal mostly with your personal taste and preferences. However if you’re buying a used-car you’ll have to do a little digging to learn the condition of the car. You should probably expect a little bit of wear and tear (unless the seller has assured you that there isn’t any), and ask about any specific problems they car may have, so that you can factor that information into your offer. Start by asking for the owner’s manual, or by locating a copy of one online. Using the manual as a reference, inspect the vehicle as you walk slowly around it. Pay special attention to any dents, scrapes, dings, flaking paint, rust, hale damage, or any other cosmetic damages that you may find. Check all of the glass windows and the mirrors for cracks. Check the body panels to make sure they are properly and evenly aligned (uneven body panels could indicate a car that has been rebuilt following an accident). Open the engine, trunk, and all doors, and check to make sure that the hinges, handles, keys and locks all work as they should. Check the car’s electrical systems, including lights. Look at the tyres and be wary of any uneven tread, which could indicate other problems with the vehicle. Look underneath the car for any fresh leakage of any kind. Check the VIN and compare it to the registration plates. You may also wish to take the time to purchase a vehicle history report, just so that can be totally sure of what you’re looking at. The test drive may be the most important (and enjoyable) part of the car-buying process, so make sure that you do it right. Get in the car and test all of the seat belts to make sure that they function properly. Adjust your mirrors and get a feel for the driver’s range of visibility (if the car features window-tint, you may wish to test drive the vehicle at night so that you can get a feel for how easy it is to see through the windows when it’s dark, not to mention give the headlights a proper test). If it’s a used vehicle, turn on the engine, and before shifting the car into gear, listen to sound that the car makes—if the engine noise is anything other than smooth and uniform sounding, you may be dealing with a car that is in need of repairs. Shift the car into gear, making note of any delays as the car changes gears. As you drive, pay attention to the feel of the overall vehicle. Does it pull to one direction or the other? Do the pedals lack firm pressure when you depress them? Are the gauges or dashboard lights indicating any problems? Are there any new noises being made by the car as you drive? Be aware that every car will feel different when you first drive it, but issues such as sluggishness or unresponsiveness may indicate bigger problems with the vehicle itself. If you’re looking at a used vehicle and you’re still interested after driving the car, ask the dealership or private seller if they would be willing to allow you to take the car to a vehicle mechanic. If the seller declines, then they may be attempting to hide something from you, and you should be very careful about continuing the transaction. If you get permission to take the car to a mechanic, you’ll likely have to pay for the inspection yourself, but at least you’ll be getting an impartial, professional opinion of what the car should be worth. If everything looks good, then you may have found the car for you. However, take some time to catch your breath. Buying a car can be an exciting experience, and it can be easy to get swept up in the frenzy of the purchase. Of course, the seller may not wish to reserve the car for you while you make your decision,and many will claim that they have other sellers who are interested in the vehicle—but don’t let that push you into completing the sale before you’re ready. If the car is sold to another party while you’re making your decision, then that’s just the way it goes. Take a couple of days to think about the purchase, carefully weighing the pros and cons. If after a day or so, you’re still interested, then contact the seller, because it’s time to talk price. Unless you’re happy to pay the asking price, you’re going to have to rely on your negotiation skills to find an amount that both you and the seller are happy with. Allow us to offer some advice: be honest. There’s no reason why you should try to cheat the seller, and if you establish a relationship of trust, the seller will be more likely to want to give you a good deal. If you’re purchasing from a private seller, then you’ll likely need to either do a bank transfer, or you’ll need to get a cashier’s cheque from your bank. Ask for any paperwork detailing recent maintenance, so that you can schedule future services and oil-changes at the correct times. If you’re buying from a dealership, be wary of any additional upsales that they may try to sell you. Also, if you don’t want to pay for the car upfront, ask about special financing deals that the dealership may offer. Buying a used car can save you some serious money, but only if you take the time to do it right. Keep these tips in mind, and you may just find yourself driving home in a car that you love, without having to empty out your bank account.